Your home needs to be secured against the high heat of summer and the deep cold of winter. 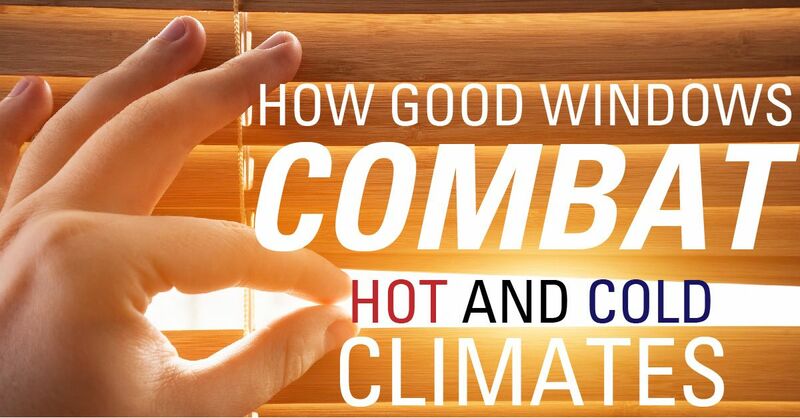 The right window choice can go a long way toward keeping the heat where it belongs, and the cold in its place. Good windows can help you save money and improve your home’s overall appeal and comfort. It’s not an easy task to understand all the different ratings associated with various window types. For example, double-pane and triple-pane windows have two or three layers of glass in each window, respectively. These are far more effective at keeping your home insulated than are their single-pane counterparts. However, even among more efficient windows, there are different levels of insulation. These ratings are stated as the U-value, the VT (visual transmission) rating, the AL (air leakage), and the SHCG (solar heat gain coefficient). These ratings are included on the NFRC (National Fenestration Rating Council) label for each window. The U-value (or U-factor) is the rating for the window’s capacity to block heat transfer. The lower this value, the better, no matter what kind of climate is common in your region. The VT rating applies to the visible light that is allowed through the window. The AL rating is a measure of how much air is allowed to leak through the window. The SHGC is a measure of how well the window shades against sunlight. The higher this rating, the better the window is for colder climates. Conversely, lower ratings are better for warmer climates. When taken together, these ratings provide a comprehensive overview of the window’s efficiency. Keep in mind that just because a window is Energy Star-rated, that doesn’t mean it’s the most efficient option. California’s climate can often be a study in extremes. It’s important to make sure you’re making the correct window choices for your home. Whether they face in an unfavorable direction, are large and hard to fit properly, or you just need some advice on how to make the right choice, the experienced professionals at Straight Line Construction are standing by to help. We’ve been working with residents in and around the Sacramento area since 1999. Contact us today for an estimate to improve your home with high-quality, energy-efficient window replacements. We have the knowledge to help you save money, enhance your home’s curb appeal, and improve its efficiency.